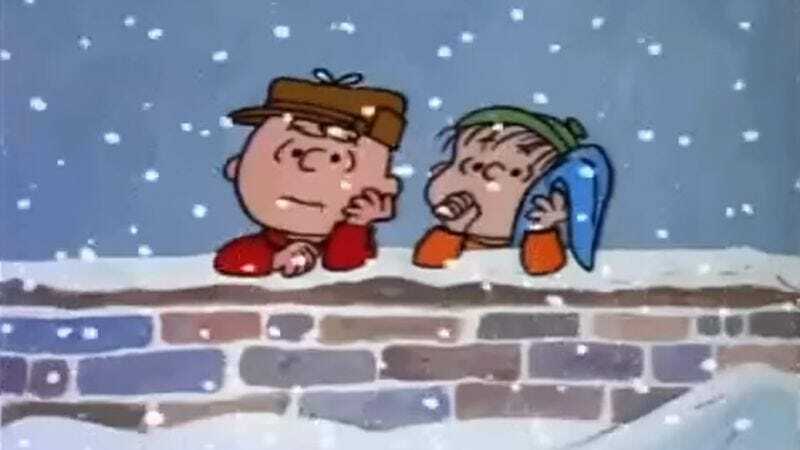 Although it’s a holiday classic today, dutifully rerun every year, A Charlie Brown Christmas was anything but a sure bet when it debuted on CBS in 1965, according to a piece by Jennings Brown at The Vindicated. By the mid-1960s, Charles Schulz’s Peanuts had been a popular comic strip for a decade and a half, but producer Lee Mendelson still couldn’t get the TV networks interested in a Schulz documentary. Salvation came when the Peanuts kids made the cover of Time, and Coca-Cola was suddenly interested in bankrolling an animated special. Not wanting to lose a golden opportunity, Mendelson falsely claimed that he and Schulz were already discussing such a project. The two then frantically got to work on creating the special, enlisting animator Bill Meléndez and jazz pianist Vince Guaraldi for the project. The team had just six frantic months to get A Charlie Brown Christmas ready for air. Hans Christian Andersen’s “The Fir-Tree” served as a partial inspiration for the plot.